In the body of a single man. Balance is something he seeks to find. I can understand how a transition like that could be a bit overwhelming for him. It makes me wonder how he’s going to work it all out. It was probably difficult before his mission to do any type of self-promotion. But now? I can’t imagine how hard it is to go from two years of “doing for others” to it being “all about him” once again. How does he work that out in his mind? Every product out there, even one that’s been on the market for years and is known for quality, is continually marketed to a target audience. Mercedes, for example. It’s a great car and everyone knows it. But that doesn’t mean they don’t have to keep advertising, reminding their target audience that their product is still out there and trying to convince them it’s still the best on the market. They’re giving the buying public a reason to buy Mercedes rather than a competing brand. It’s the same with music. You have to believe in the excellence of your product and be willing to let everyone know that. Give them a reason to buy YOUR product. 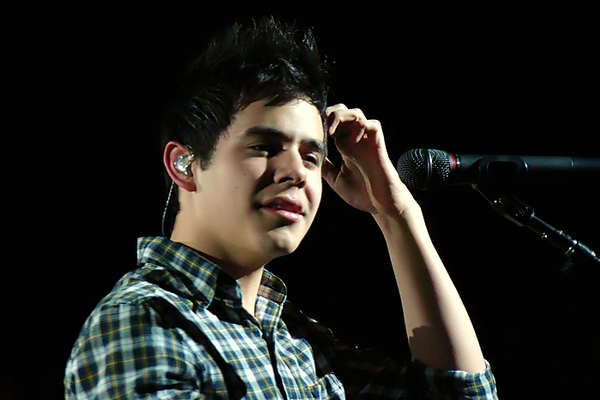 David has said that he’s writing POP songs (along with some Spanish). This is a strong indication that he wants to continue his career; putting out albums and touring. The problem is, how do you get your music out there and sell tickets to your tour without marketing yourself and your music? 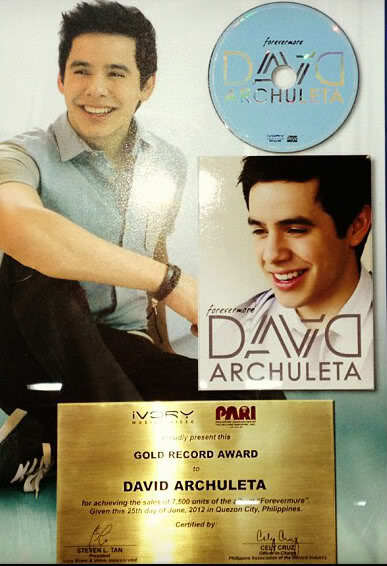 While stardom may not be David’s main goal in making music, success brings with it lots of opportunities. 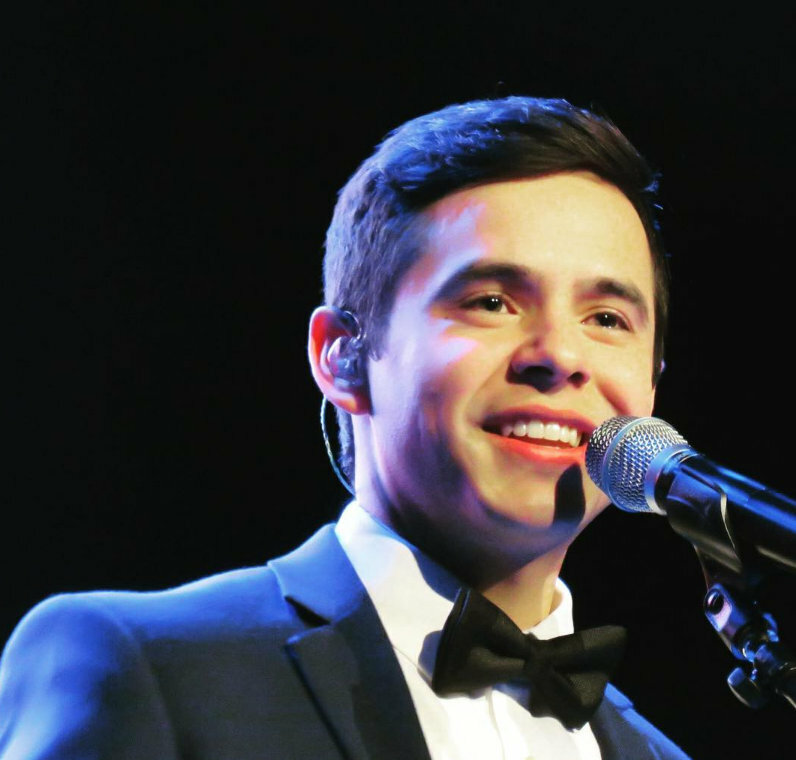 We know enough about David to know that promoting worthy causes is something that’s close to his heart. A recognizable name in the music industry would bring with it the ability to get the public’s attention for those causes. The bigger the name, the more attention and support he could draw towards those causes. But how does he reconcile, in his mind, the humble human being that he is with the part of him that wants to perform? How does the reluctant star gain attention for his causes without self-promotion? It’s a dilemma I believe he’s struggling with. Perhaps one day he’ll realize that self-promotion is simply a tool that’s used as part of the job, a means of selling a product. HIS product, himself and his music. Done the right way, stardom and fame can be a mantle he wears like a warm winter coat. If he sees it that way, he could simply put it on when needed, when he’s performing or doing interviews. It wouldn’t be a fake persona, it would simply be a line drawn between the man and the star, allowing him to promote his product, himself, while remaining true to who he is as a person. At the end of the workday he could simply let the mantle fall away, allowing him to remain the same humble guy he has always been. Can it be done? Is it possible to separate the man from the star? 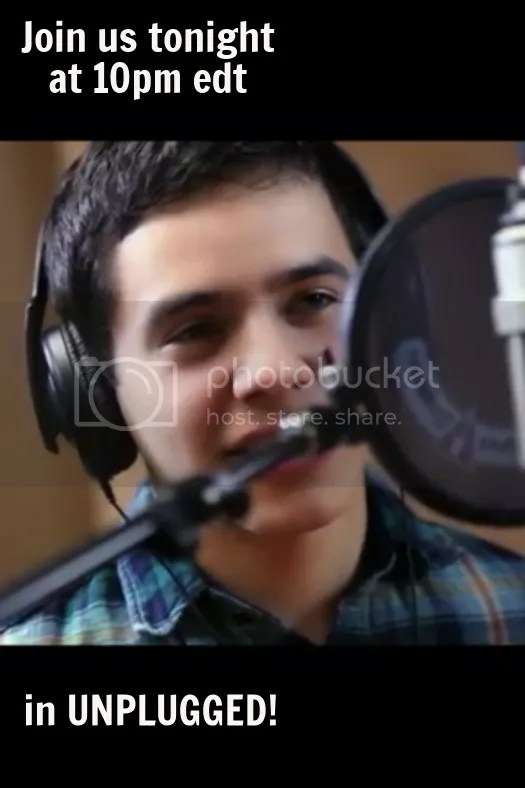 This entry was posted on Saturday, August 16, 2014 at 11:49 PM	and is filed under @DavidArchie, David Archuleta, music. 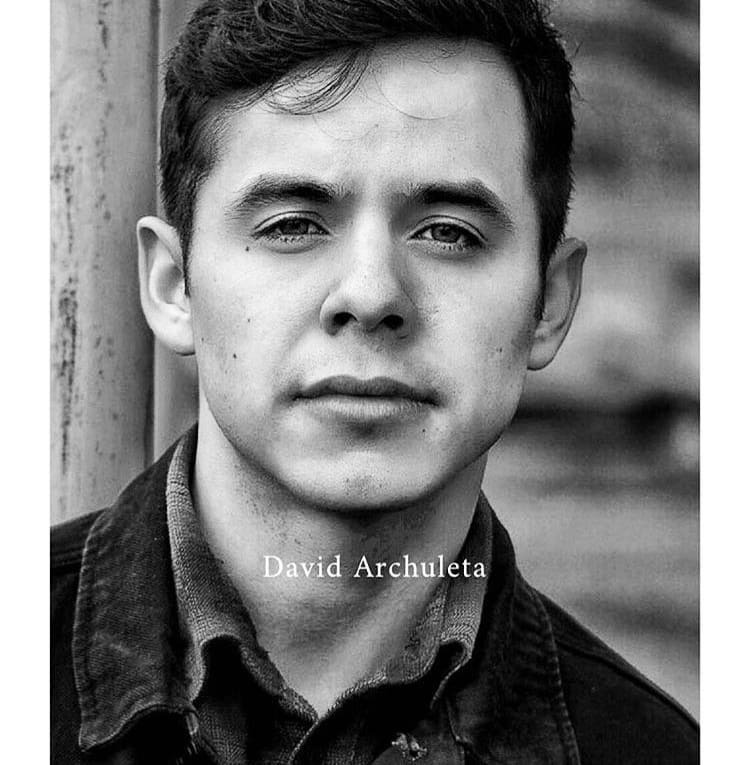 Tagged: David Archuleta, Staying true. You can follow any responses to this entry through the RSS 2.0 feed. You can leave a response, or trackback from your own site. That was very interesting MT and I enjoyed the reading! Life is what you see it as and how you live it. Sounds simple maybe for some. You know wherever you are, whatever you do reflects upon yourself and not others. 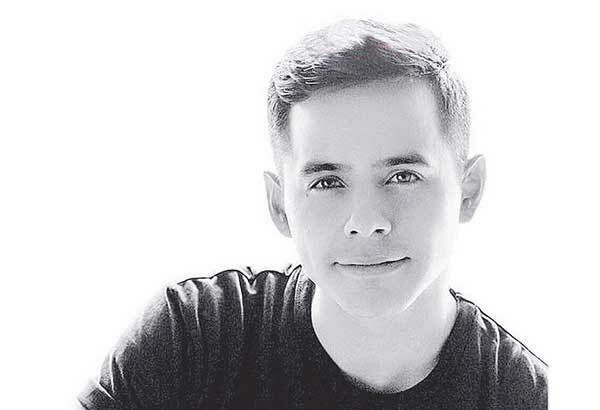 David never made entertaining about himself and it doesn’t need to be about himself that he performs. Actually being away on a mission is about yourself in its own way. It is how you interpret whatever you are doing. He once knew that his singing brought joy and comfort and healing to the listeners wherever they were such as in hospitals, nursing homes or simply any home. His music had a broad spectrum of listeners in many walks of life but he did reach people who were in need of his music to ease their lives or maybe to just go on living. It depends upon the glasses you are looking through David at any given moment. The world is full of generous people who are giving of themselves daily, thinking at the moment of doctors without borders, vets without borders. There are generous people who go away and build homes for needy people. Of course our North American service men and women who have full lives at home and abroad are thinking about others every day everywhere. The worldwide Red Cross workers are vital during the times of crisis. You can lead a full life at home but give daily in some way and truly make a difference. More pictures from last night, onerichsong (far right) is the founder of Fans of David fansite. When David was out of the country in far flung places in the middle east, people knew who he was. Not just the Americans but random nationals from all over the world. This is a sure sign that his brand is still marketable outside the glare of LA or NYC. It’s all on him to take what he learned since he came back and use it to further his music career. He has the talent and the name recognition. 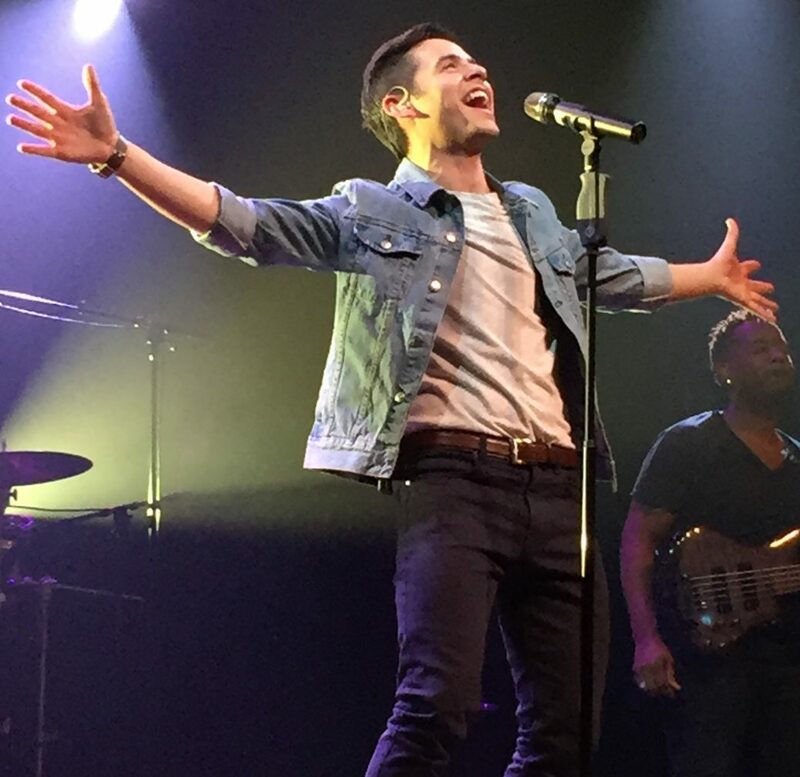 Once he has his songs ready to burn on a new CD, he will be back in the groove with touring! Today’s Sunday puzzle shows an award winning smile! After watching Face to Face and Cara a Cara, I won’t say how many times, I observed David making the same points in both languages. In sharing and opening himself to us he was consistent in his views, thoughts and beliefs. One that that came to mind as I was reading your well thought out article when asked what he would do different before his mission knowing what he knows now he said he would be brave, have courage and not let his lack of confidence stop him from doing things. But that was one if the reasons he believes God guided him to go on a mission. That he needed to learn to trust himself, to not be afraid, and that is what I’m seeing, not so much a struggle at this point, but a calculated approach without fear of failure or making mistakes. David is building and getting prepared. I still see humble but i also see maturity and confidence. It excites me to no end but also scares the heck out of me haha I don’t know if it makes sense lol but those are my thoughts right now. David sends a message to family of a soldier. Thought-provoking post, MT… “But how does he reconcile, in his mind, the humble human being that he is with the part of him that wants to perform? How does the reluctant star gain attention for his causes without self-promotion? It’s a dilemma I believe he’s struggling with.” … I agree, can’t be easy, but he’ll navigate his way through it… maybe not in a way some fans will be happy with, but he needs to do what he needs to do, if that makes sense. Abrra, enjoyed the puzzle! Look forward to it every week! Bravo! You wrote a most thought-provoking piece! And one that is difficult put into words but you did it well! Thank you! I can’t imagine how it feels to be away doing service for two years and then come back home to the pressure of hungry fans who want new music and at the same time being under scrutiny for everything you do. Because of this it’s very hard for me to assume what’s going on in his head. I do know that with each new vlog, there is a more mature young man, someone who is comfortable in his own skin, ready to take charge of his career in his own way. And he’s growing fast; there’s a marked difference between the three vlogs he’s done. So true. Self-promotion is vital to a successful career. 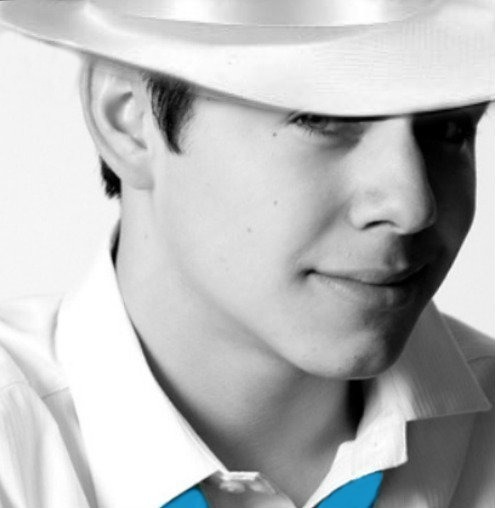 I hope that when the time comes, David will know exactly what he needs to do to promote his music. I don’t envy him the task but I do think it’s possible to separate the man from the star. I have faith that he will figure out how to do it in his own time in his own way. You’re right. I think I phrased that sentence wrong about recognition and it reads as if I don’t think he has a recognizable name right now but yes, he does. “I don’t envy him the task but I do think it’s possible to separate the man from the star. I have faith that he will figure out how to do it in his own time in his own way.” I agree. Truer words were never spoken. He is definitely an enigma. But, we do know he is one of a kind, isn’t he? Never have and never will I suspect, meet anyone else like him, and definitely know that however he handles his career going forward, THAT VOICE and that heart of his that’s bigger than all outdoors will pave the way. Tawna, you tickle me..so true.He is at the helm. MT, thanks for writing about a topic on the minds of many fans right now. How will David reconcile his ever-expanding humility with at least enough hubris to promote himself as a performer going forward? Every artist must possess something of an ego. David has been doing this a long time, getting up on stages over and over and over to thunderous applause. However aware he may be of what he deems as imperfections, he KNOWS that in the end he is very, very good at what he does. I’ve noticed incremental changes. 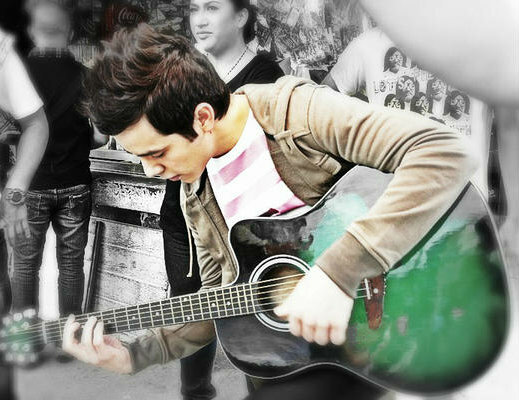 As TOfan said, “he will navigate his way.” He will be guided by his own star or concept of stardom and it will be right. I think in the end, we will wonder how it could have ever happened any other way and will thank our lucky stars he followed his. As for separating the artist from the man, I don’t know if he can but I always will. I can dislike the actions, philosophies, or morals of an artist and still appreciate their work. It is the art that matters to me. If the work is good, I will praise it. If it’s not, no amount of goodness on the artist’s part will persuade me to do so. Apparently, Jim Cantiello (@jambajim) sent David an #ALSIceBucketChallenge on Twitter. ALS is Lou Gehrig’s disease and the #IceBucketChallenge is a phenomenon that is spreading awareness about the disease on social media. Click on the instagram link for an example. ALS is a horribly debilitating disease. I didn’t really know anything about ALS until my uncle was diagnosed and I saw what he went through. I’m so glad the #ALSIceBucketChallenge is spreading. It deserves attention. Jeff LeBlanc took the ALS Ice Bucket Challenge! My kids and grandkids was doing this icewater challenge a few weeks ago. Funny to watch them get doused on FB. Hope David will take the challenge. He’s a good sport and it is for charity! Jan, I hope David takes the challenge. OK today is the day I show my son all of your on site messages, texts and emails from a few weeks ago. It is his birthday and he will be knowing about all of the support that you sent his way that made such a difference. When the doctor said ‘miraculous’ recovery, I had much to think about. 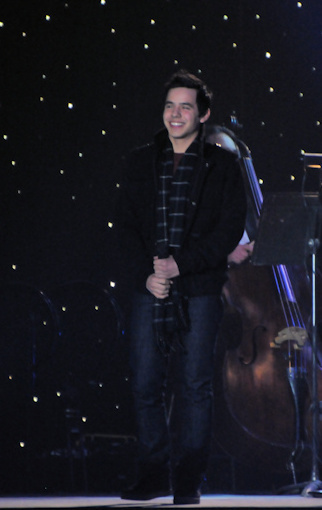 I think that I was planning on attending a concert, when David got back from his mission, of his old songs. It isn’t happening. So, now I am wondering if he will put out a new album before he tours that is going to be entirely unlike any others. 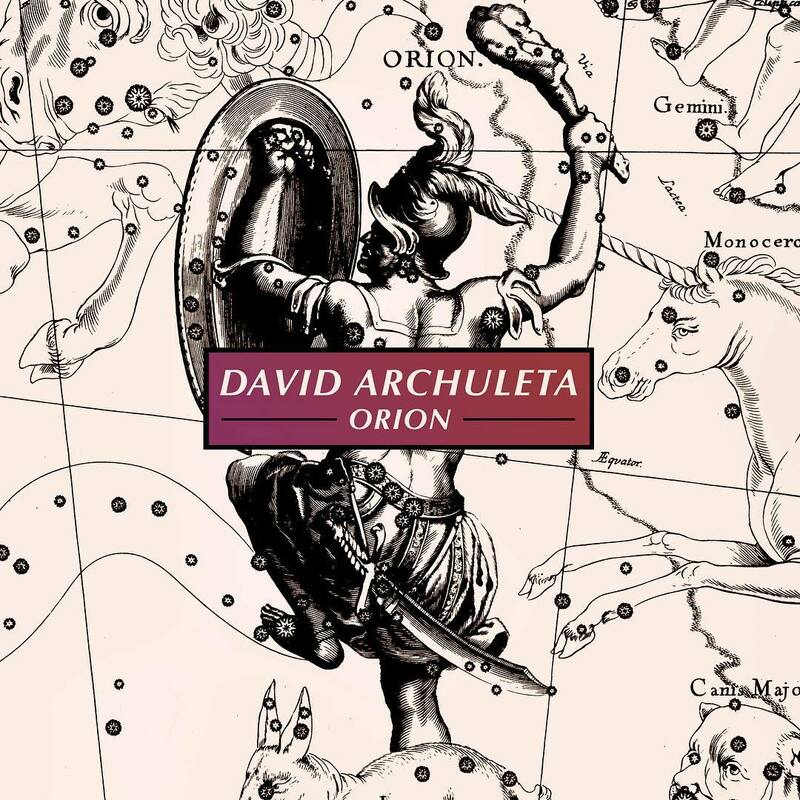 Maybe he wants to make his entrance back into the music scene, not depending on his old albums, but on a new side of David that he wants to show us. MT, I really liked your article. Asking the hard questions that some of us think, but don’t say. I don’t think he’ll ever be good at it. Sorry this comment is late, I am just so exhausted all the time. It’s hard to concentrate. I’m with you. Still on the boat! Happy Birthday to your son! I’m so glad for both you and him that he’s getting better! I’ve been thinking about you lately and wondering how you’re feeling. I hope you continue to improve and get back to normal soon. Looks like someone wants to move on. “The past is to be learned from but not lived in.” – Jeffrey R. Holland” That is so true! SB, Great to hear your son is on the mend! Betsy, So sad to hear you’re still not feeling 100%. 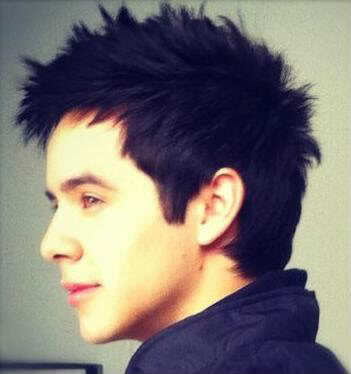 David, I’m moving on with you! SB – Happy Birthday to your son and continued best wishes for his recovery. Miracles are such a miracle! Angelica – that quote does leave one wondering, doesn’t it? Suzy-Q – I think you were just one in a million that was planning on attending a concert…. patience is being tested… haven’t passed yet I guess. aww SB,Happy Birthday to your son♥So happy to hear he is recovering well. Betsy, I am glad to hear you are doing better. Take care. Ok, you twisted my arm lol, I will. Betsy, what you just wrote is something like what I saw on a Monday morning when the doctor said his improvement was miraculous after a terrible night. I felt the strength coming from somewhere and only I knew it seemed. So now he talks about it all and of course he wondered after he saw his grandfather if he was supposed to go and be with him. I was stunned by that comment but I said to him that he was just there watching over him not wanting him to go with him. It was incredible how you came out of that accident. There are powerful happenings but we seem not to be totally surprised. It has been a strange summer! Most nurses are doing the work of angels perhaps! Sometimes I would get the feeling that some were not just people. I believe in miracles. Your son SB and Betsy’s miraculous experiences are proof imo. David’s facebook posted Bandsintown again. I think it shouldn’t be to long before we hear some news. Go to the liks on my tweet and like and track! And don’t forget the WWTT Party! So sorry SandyBeaches, I missed sending my best to your son for his special day and for his recovery! My thoughts are with you and with Betsy and your families. Also for anyone else who may be experiencing pain or heartache. I, too am trying to be patient regarding David. I agree with those that believe “all good things take time”. Keeping busy. Gardening, canning and spending time in the great outdoors of Michigan. I would like to add, you don’t have to be registered as a student at BYU or even LDS to attend Education Week. 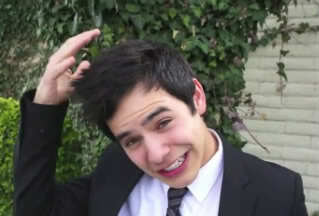 But..I think it would be wonderful if David went to college. I want him to learn and grow and be able to stand toe to toe with anyone he encounters in the music/financial/PR/journalism industry. It can only increase his confidence and potential. He can still put out music and tour. Better music. I held down a full-time job the whole time I attended college. My wand and I agree with your comments regarding David and education! It’s very possible for him to continue his career and participate in college classes. A lot of the “class room” work is accomplished via computer in these modern times 🙂 I recently took a course at Berklee College of Music which was exclusively online. I was given course work that I could review and then a test that had to be completed by a certain date each week. I KNOW there were angels present for both of you at a time when you needed them the most. SB and Betsy, so glad your son and self are making progress toward a full recovery. I went through that Education Week booklet (yes I did!) There is one class I would have taken if I were in Provo – Appreciating Jane Austen! Its inclusion did seem kind of random though, among all the spiritual and self-improvement classes offered. I hope David has a good time on campus. Abrra – I have been taking some online classes too. I watched all the vids from that Berklee course on the music business. I just finished one on the fundamentals of music theory given by Edinburgh University and sometime ago I went halfway through a course on the history of rock and roll. MT – enjoyed reading your thought-provoking post. 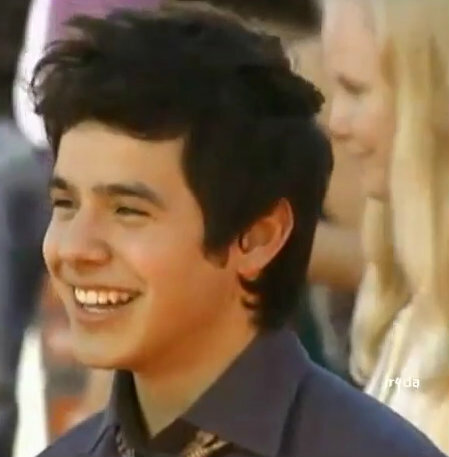 To me, David will always be a star no matter what he does. Abrra #44…. do you think he gets tired of corny stuff? Being the obliging person that he is, he just goes along with it to make others happy? Maybe. Angelica #45… pretty sisters…. sad/happy/sad description…. he shoulders a lot I think. Tawna, I posted a picture I saw on twitter. I am not sure of the context of why he is with those young people. Grandkids are great but they can surely wear you out! I adore them but am still recoopng from the last few days! Sorry I missed your son’s birthday. May the year ahead bring him back to good health. I believe in miracles too. You’re amazing! Best wishes for your continued recovery! Just the sight of David on the BYU campus in those pictures got me enthusiastic about him going to school. I remember being thirsty for knowledge after I finished high school and so ready for college. I know this is just a week of classes but I can see David wanting to enroll after he gets a taste of college life. I’m happy for him if he does. His high school years were cut short because of AI and this could be the opportunity to learn more about music history and theory and any other subjects he wants to explore. He would also get to be around young people if he takes classes on campus. And like others have said here, I’m confident that he can manage school plus a career. I understand his thirst for knowledge too. I had to drop out after my freshman year, due to my father’s death, but when I was 40, I went back to school full time at University of Louisville, close to my home. My kids were in school till mid afternoon, so I had the time without leaving them alone. Also, they were 6th grade and up. I felt it was important to finish, and I did, and walked the stage at Graduation. David missed the graduation, the prom, and I’m sure a lot of fun things for kids in high school. This could be a time for him to finish his schooling and feel like a regular young person again, before all the madness started. I was going to say finish his education, but we’re all still being educated for the rest of our lives. I hope he gets to go. Scotty McCreery goes to college and he still tours in the summer and every now and then does a show on the weekend. I’m sure David could handle it. For some reason I find this fascinating. It’s a relatively new account. Not sure if that has any bearing on things, but someone went to the trouble of making it just to say this? 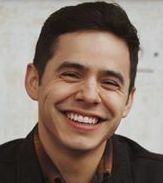 Jermaine Sullivan, a member of The Church of Jesus Christ of Latter-day Saints from Atlanta, recently taught singer-songwriter David Archuleta a new skill: step-dancing. In video posted to Instagram Aug. 21, Sullivan, who is one of the six Latter-day Saints featured in an upcoming documentary called “Meet the Mormons,” leads Archuleta in a step routine, involving rhythmic footwork and hand claps, at a screening of the film. 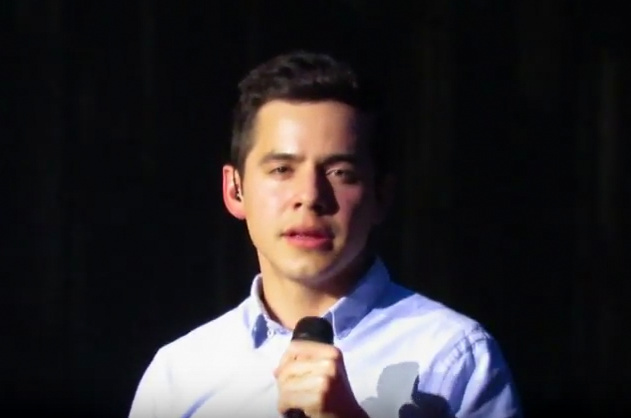 @davidarchie shows his dance moves at a #meetthemormons screening. David isn’t In the movie, if you were under that impression. He attended the showing of it. The bishop was one of the 6 people featured. I have captured the video for Unplugged viewing 😉 Hope to have more folks stopping by on Saturday nights! I had heard he recorded that song for it but it says he “performs” the song. So maybe it’s not just the track but him in it? Did you see this? Apparently David is in the documentary! Yes I had heard about the song way back in what? June? Oh good then I stand corrected. I can’t say if he is actually “there” as he sings, maybe just background music. If the producers don’t release the song, it’s a big loss on a few levels. Wouldn’t he have mentioned being a part of this project at some point? I think she filmed him with the bishop. Her tag was on the video. 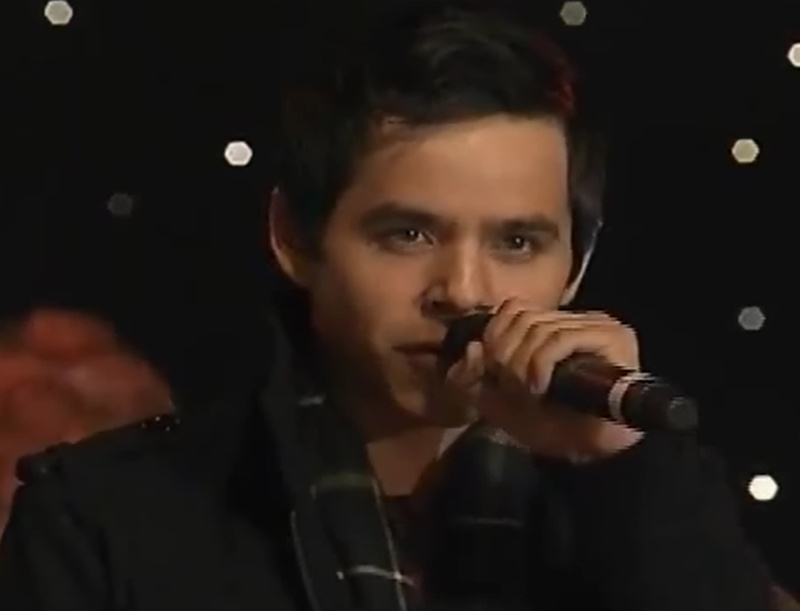 I don’t always double gram, but when I do it’s with David Archuleta. Today was the sneak peek for a new film #meetthemormons. I got to film David, the Apostles, and the Candy Bomber. I can die happy. There is a longer video on his facebook. Not much longer but he gets up after and runs off. Poor guy must be freezing!!!! Looks like they used a whole bag of ice plus water! Thanks for posting the longer clip. Seems like there was mostly ice in that bucket! Yikes! Way to go David!! Brrrrrrr! Thanks for the screencap Abs. And MT, for your few seconds longer ‘find’. I have been away from the site for a bit. Thank you so much for your article! Seems to me that that is the measuring stick he is using to make his decisions. He has had seven years worth of experience to help him formulate his priorities. Where he might have listened to “everyone” before (as he himself has stated) now he listens to his heart, especially where it is concerned with the relationships he values most. This makes me very happy. 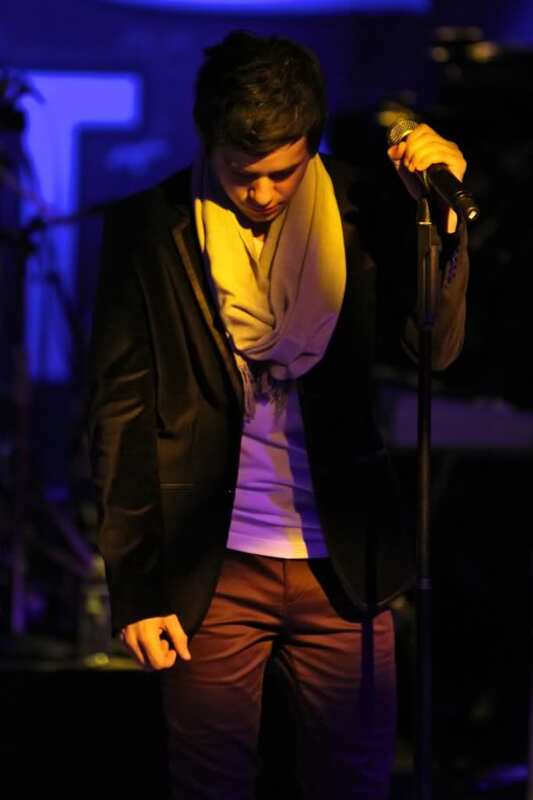 When he steps on the stage, there will be no second guessing as to whether or not he should be there. He will probably be present in ways he could only dream of before. This makes me very happy, two. And… he is showing whoever may come into his life in the future, and wonder if they and the kids would come first, that they would indeed. This makes me very happy, three. Dear DA: you jettisoned us into the sky with just your dreams and tender heart (erm, attached to a silky web of sound, of course!). Now? I have the feeling that you will willingly climb the stars with us. Should I upload the 2 clips to the Candy Jar? Anyone interested? Well I guess I am. too. I just love the way you put things. You have such a beautiful way with words. 🙂 I believe that David is one of the celebs who could draw that line and would always remember it’s there. I think some celebrities (I won’t mention names) begin to believe that the “star” is who they are, that it’s what defines them. When they buy into the hype, I think that’s when they start having problems. But David is smarter than that. I think he realizes that “stardom” is just part of what he does. It’s not “who he is.” I remember being both shocked and pleased when I heard him say in an interview that music was his “job.” I think looking at it that way helps keep a person grounded. Correction to #76. I should have said “draw that line AGAIN” because I think it was clearly there pre-mission, and will be drawn again when he is ready to release new music and start touring. Dang it. I did it again. The Candy Jar!!! Yumm!!! Thank you 🙂 !! MT, I like that ‘draw the line again’ part, I think you are so right!! Once again he or they did it by unspoken perfection. He had ‘ice’…he did it perfectly and would you expect any less? So is David going to attend BYU full time? Hey all! I’m still here! Dad in hospital doing ok though. The ALS challenge done!!! Love that he put the ALS link in his tweet. And the man has rhythm!!! But we’ve known that. David has moves! 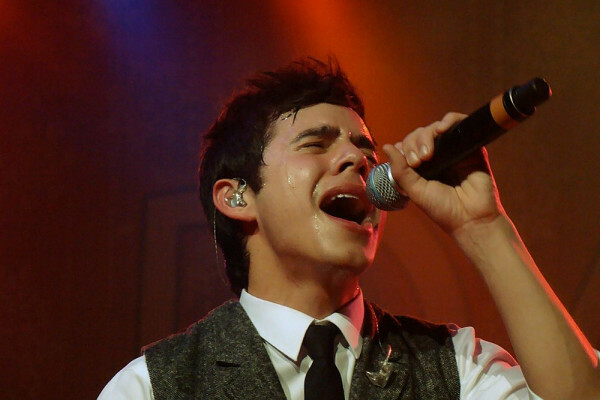 @Zoo9guy: My Daughter came home from a writing session with @DavidArchie and I asked “how’d it go?”..”Great!” Arghhh! I can’t wait to hear the songs! Had to come back and post this!!!!!!!!!! 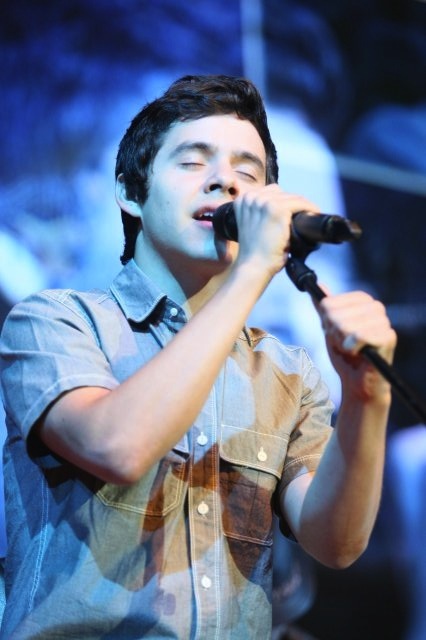 My Daughter came home from a writing session with @DavidArchie and I asked “how’d it go?”..”Great!” Arghhh! I can’t wait to hear the songs! 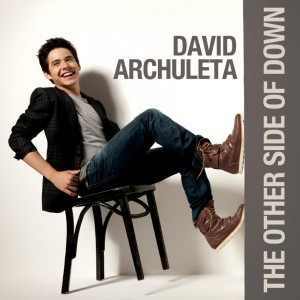 @Zoo9guy @DavidArchie Please thank your daughter for helping us get closer to some new music. Can’t wait!!! 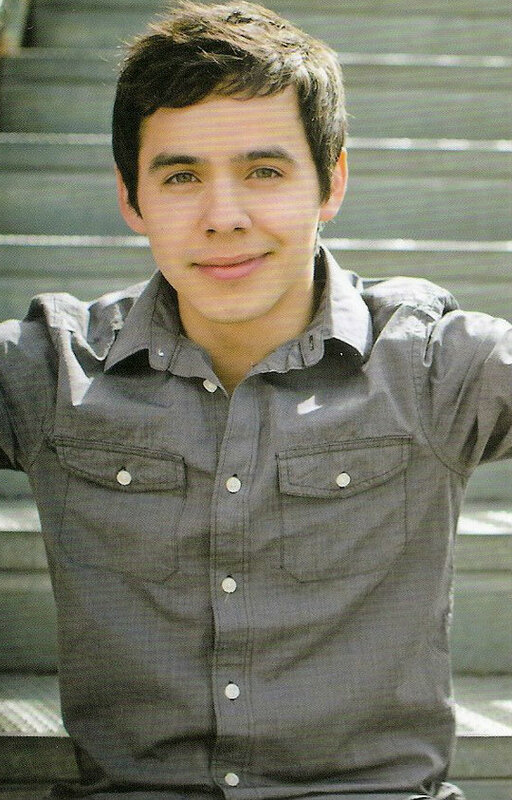 @Zoo9guy @DavidArchie Sounds exciting! Thank you for the update. Are their songs of a pop nature, or spiritual or hymns? English? Spanish? Dang! haha Proud Dad wouldn’t give it away. Happy to hear about writing sessions. Got to help David trend tonight and it was so much fun! Glad to finally get my twitter straightened out. Going to Branson tomorrow so won’t be in chat. Be back next week. So….if anything important comes up, it will while I’m gone! 🙂 I’m taking my laptop so I hope to be able to keep up some. Dja, hope your dad stays ok.
That was a bit sad. I dropped into Sniwangelz. I want to be creative! Give me some music please!! I saw the post on SnowAngelz. It’s so sad to see it not continuing. TOfan is so funny and I’ve really enjoyed all of the hilarious things she’s done. But, I can understand how she feels. Right now, with no music, no projected/estimated timeframe for new music, and no music news, well … That wall of silence is making things tough these days. 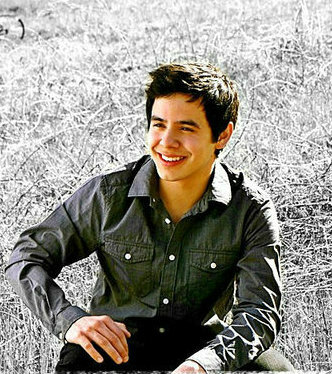 I have a feeling though that something really good is going to be popping up (career related) with David. I just have NO idea when. This year? Next year? I ponder that David wants to keep his works in progress under wraps. When he was with Jive there were leaks ( that’s how some record labels test the waters) and he wasn’t thrilled. Leaks often are songs not “finished” production wise or songs that are not being considered for release. Going by what he has said in the video in your article, he will take it slow and release his music when he knows its “right”. Anyone who is working with David will respect his wish to keep silent about what they are working on. I like to be surprised when it comes to his music. This new slower pace is growing on me. Just knowing he has concerts and albums planned in the future is enough for me. It’s nice to see him finally have a chance to live his life at a more normal pace, No one deserves it more than David!